“Dilín ó Deamhas” is a traditional Irish nursery rhyme for kids. Our elders sang an English version of this sing-along song to us when we were children. It was called “She Didn't Dance”. We have combined parts of both the Irish and English versions into one song with a Celtic theme. Note: traditional lyrics for Dilín ó Deamhas are in the next section below! The chorus of “Dilín ó Deamhas” is gibberish and can not be translated into English! However, the verses do mean something and Naymon has kindly translated them from Irish to English for us. Kate is good with the spinning wheel. His wife is the girl from the mountain. And he will come down tomorrow. Physical Education: Perform star jumps in time to the Irish words. 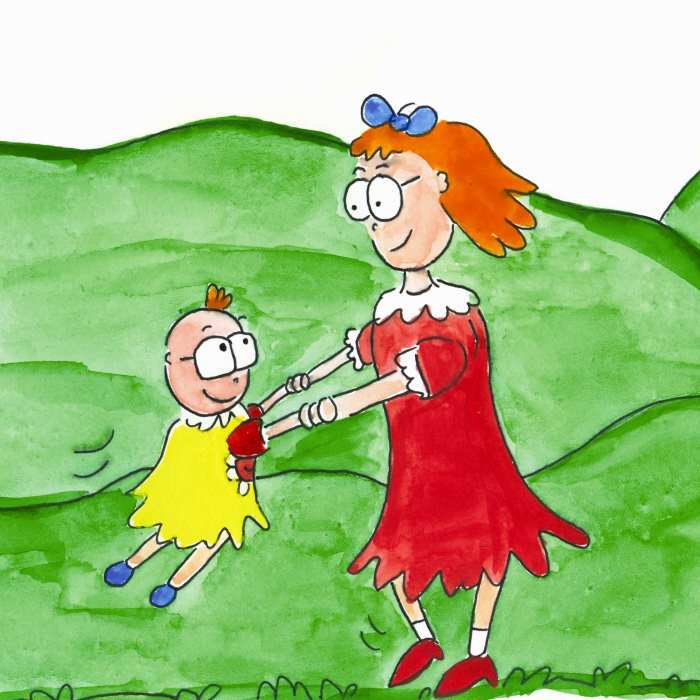 Throw a football into the air in time to “Throw her uppity up…” Arrange children into pairs and get them to throw the ball back and forth to each other in time to this part of the song. Circle the children and get them to throw the ball clockwise to their neighbour. Repeat with a tennis ball but get them to only throw with their right hand. Repeat with their left. Use bean bags for smaller children.